Comprised of sterling silver, this ornament is the ideal way to show off your style and commitment. The impressive ring boasts 1/3 carat of elegant sapphire stones. All weights and measurements are approximate and may vary slightly from the listed information. *T.W. (total weight) is approximate. 1/3 carat T.W. may be 0.28 to 0.36 carats. Treatment code E (sapphire). See Treatment Guide for further information. 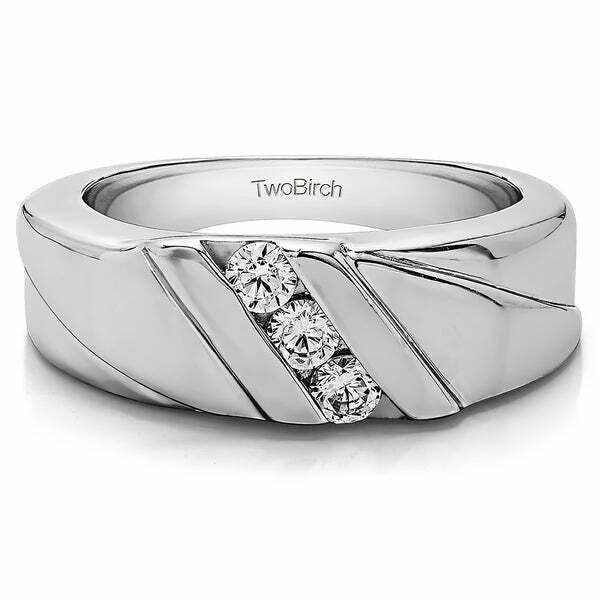 I liked the size and look of this ring it goes well with my wife's wedding band WI th channel cut diamonds.